Despite there was no violation of the international law, Japanese authorities were "analyzing motives" of the Chinese side sending jets to the region, the Kyodo news agency reported quoting the minister. 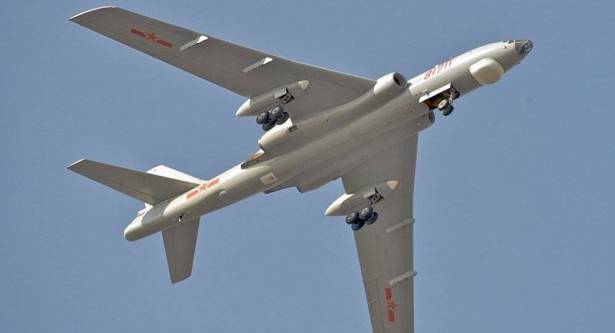 China's H-6 medium-range bombers flew between the islands of Okinawa and Miyakojima and approached the Kii peninsula in the south of of Honshu. This was the first time they followed that route, according to Onodera. Japanese fighter jets were scrambled to intercept the planes although they did not intrude into the Japanese airspace. Tokyo's response was handed over diplomatic channels and there was no official note of protest. The relations between China and Japan have cooled down recenty over competing claims to the maritime borders that both countries have in the East China Sea. The islands, called Senkaku by Japan and Diaoyu by China, are at the center of the heated dispute between Tokyo and Beijing. The United States that was in control of the Senakau Islands after the World War II, handed over the chain of eight islets to Japan in 1972. But Beijing argued they had been marked as Chinese territory on maps dating back to 1783. Tokyo has been actively boosting its defense spending amid tensions with neighbors. The Japanese Defense Ministry announced the development of advanced radar system capable of tackling advanced stealth fighters, currently being developed by Russia and China. It is also going to deploy land-based Aegis Ashore defense system and increasing the number of Aegis-equipped destroyers in its border areas.